Help Documents - Version 5 The Registrant List (Manage your Registrants)What is a Registrant Set? A Registrant Set is a collection of registrants that is labeled and saved as a set. You can select the registrants by clicking a checkbox adjacent to their name. All registrants in the set must be selected manually. Even though you define Registrant Sets on multiple screens, all sets are always visible to all tools that access them. In other words, you can define a Registrant Set on the Registrant List and use it in the Email Wizard. Send email to a Registrant Set. 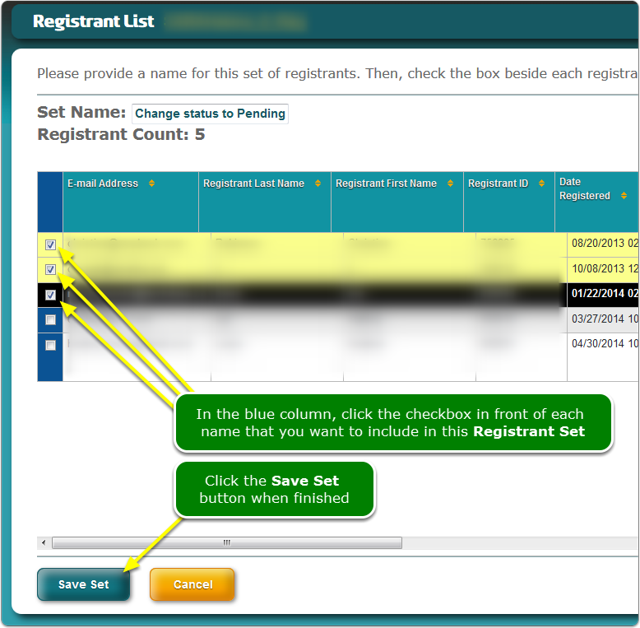 Zoom: Define your registrant set. 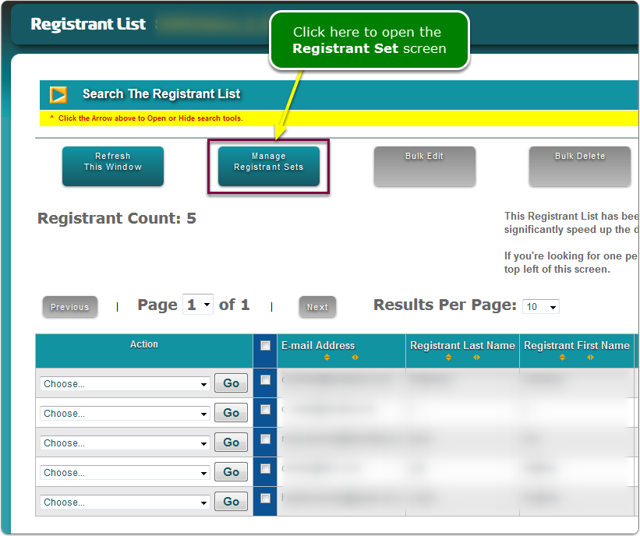 Select registrants from the set definition screen. Give this set a name. Click the checkbox in the blue column to select a registrant for this set. Zoom: Select registrants from the set definition screen. Bulk Edit using a Registrant Set. Click the Add Set button. Check off the registrants in the blue column that you want included in this set and then click the Save button. 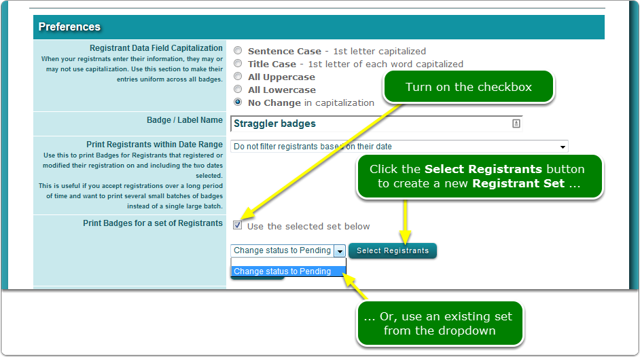 Create Name Badges for a select number of registrants. If you have straggler registrants or just want to reprint a few badges, create a Registrant Set. Zoom: Create Name Badges for a select number of registrants. Prev: What actions can I perform on a registrant? Next: What are Pre-set Reports?